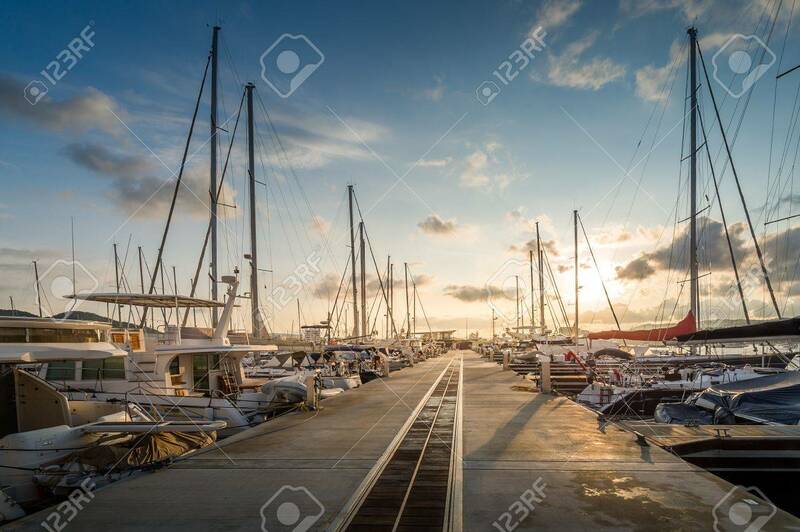 Sunrise At The Sailing Boats Pier. San-Antonio. Eivissa, Balearic.. Stock Photo, Picture And Royalty Free Image. Image 32765536.